Comments: Froms a dense mat whic gets to about 6 inches tall and spreads indefinitely. 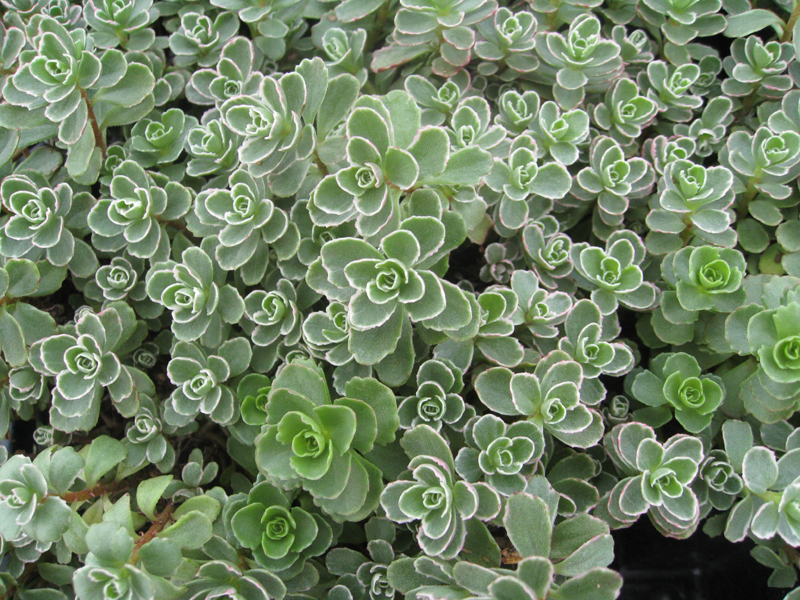 This sedum selection makes an excellent ground cover. In winter it becomes very prostrate. A succulent with semi-evergreen leaves. Leave color varies with the cultivar may be green, bronzed, red, crimson, or variegated. Profuse flowering occurs in early summer and plants are covered with red to pinkish-white blossoms for two to three weeks. Does not tolerate long periods of high temperature and humidity.